UPDATE: Applications are now being accepted for the Libraries Ready to Code program until August 31, 2017. 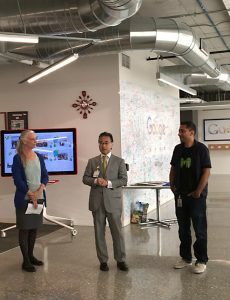 Marijke Visser and Alan Inouye of ALA's OITP, with Jessie Chavez (right), Google, announce Phase III of Libraries Ready to Code at Google Chicago. Is your library ready to code? 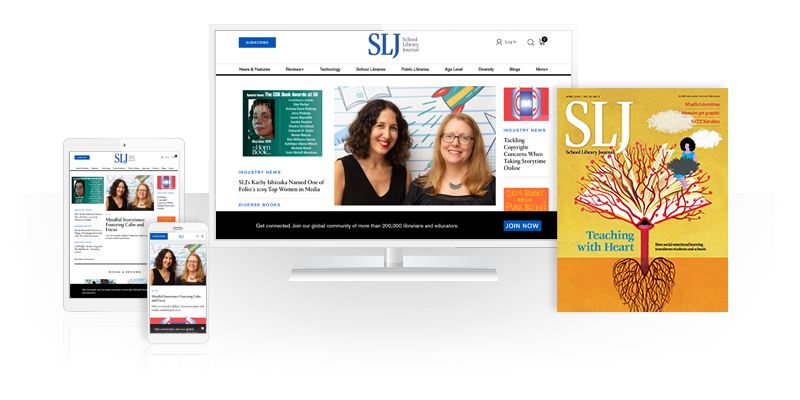 The American Library Association (ALA) and Google want you. As part of Phase III of the Libraries Ready to Code initiative, ALA and Google are forming a cohort of 25-50 school and public libraries, which will receive resources and support to create youth coding programs to serve their communities. In turn, participating libraries will help inform the creation of a toolkit to be used to inform coding programs at libraries nationwide. The $500,000 initiative—announced at Google Chicago June 22, during ALA’s annual conference—will involve a competitive application process set to open in mid-July and run until the end of August 2017. Both school and public libraries are encouraged to apply, according to Marijke Visser, associate director of ALA’s Office for Information Technology Policy (OITP). Phase 3 extends a partnership between the search giant and the nonprofit library organization, which began in 2015. Through Libraries Ready to Code, “we were asked to explore how libraries could make a difference with kids who may not be predisposed to think about coding as an alternative,” says Visser. Indeed, organizers seek to benefit underserved populations in the Phase 3 effort, primarily African American and Hispanic users, low-socioeconomic communities, and “girls across the board,” she says. Potential applicants should familiarize themselves with the Libraries Ready to Code mission. That includes the CS+X concept, in which libraries can help forge connections between coding and what kids are interested in, cars, for example, or conservation. Long term, the coding kit is intended to make these skills accessible to students through 120,000 libraries in the U.S., wrote Alan Inouye, OITP director, in a Google blog post announcing the program. The selection committee will consist of librarians from ALA’s youth divisions: the Association for Library Service to Children (ALSC); the American Association of School Librarians (AASL); and the Young Adult Library Services Association (YALSA).